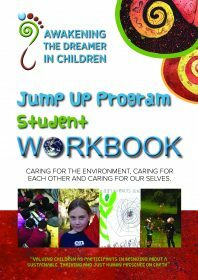 The 42 page Jump Up Student Workbook contains all the information required for students to successfully navigate their student lead inquiry. Four pages are dedicated to each topic and include an introduction to the topic, colouring page (for consolidation and review) reflection worksheet (for written reflections) and a home quiz activity (to assist children to make the links between the topic and their families worldview) The workbook also contains a comprehensive glossary of terms, project guidelines and worksheets (for use in class settings) regularly updated references and links. and are available for free download here.